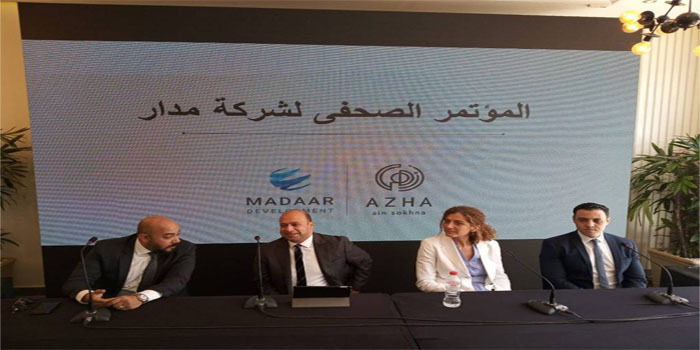 Leading real estate firm​ Madaar is looking to step up investments into its residential project, Azha, in Ain sokhna to EGP 13 billion. Spanning 400 acres, Azha features 20 tourist resorts, 2,172 residential units, and four hotels, Madaar’s CEO and managing director said on Thursday during his tour at the project’s location. Almost 90% of the first phase of the project has been completed with around EGP 7 billion in investments and 1,500 units, Maged Salah added. Units of the first phase have been fully booked and they will be delivered by the end of the year, Salah indicated. Construction of Azha’s second phase will commence within six months with 1,212 residential units at a cost of EGP 6 billion, he noted. Madaar aims to invest EGP 1 billion in Azha this year, according to the company’s CEO. The property developer has logged EGP 4 billion in sales since the beginning of this year and aims to achieve EGP 2 billion in revenue by the end of the year, he said.